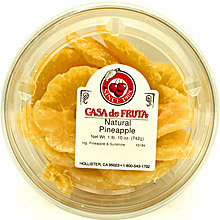 Fresh pineapple cut right from its core and naturally dried. Packaged in a 26 oz. tub.